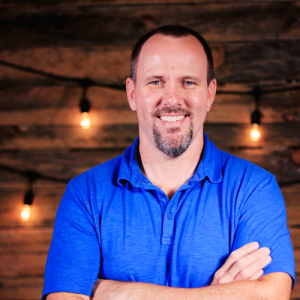 Jason is the Missions Director at River Ridge and splits his time with a missions role with Young Life. Jason and his family recently served as missionaries overseas for nearly 2 years before returning to the USA in 2018 to continue their work with Young Life. Jason is passionate about helping individuals and families experience a closer relationship with Jesus on short-term missions projects. He also loves the opportunity to lead and equip others to follow God’s calling in their life through long-term missions. He shares his time with Young Life where he focuses on connecting people and organizations to the vision and mission of Young Life, supporting and engaging leaders, and working on specific projects to reach kids with the message of Jesus. Jason is from Barboursville, WV and earned a degree in Engineering Technology from WVU Institute of Technology. He and his wife have 3 daughters (2 are adopted) and are advocates for foster care/adoption as well as international missions. They have spent time in England, Scotland, Haiti, Kenya, and Israel in support of Young Life and ministering to kids. Jason loves his girls and the great outdoors. He enjoys hiking, mountain biking, snowboarding and challenging himself physically.